Almut Kelber and her co-worker Prof. Denhardt in Rostock cooperate on colour vision in seals. Denhardt has the seals and Kelber the equipment and expertise on colour vision. Also Prof. Kröger in Lund, specialist in eye optics is involved in the project. Their cooperation is established in joint publications. Kelber especially states the use of the grant in the sense it was intended, i.e. regular meetings of groups and in her case also for performing experiments. Susanne Iwarsson´s project relates to how the home environment affects health trajectories along the process of ageing. It is studied in depth in Sweden and Latvia. The project is unique and the methods developed being introduced in an east European country (Latvia) under transition. 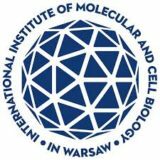 Iwarsson has a well established cooperation with Latvia, resulting in an upcoming PhD thesis, as well as other Baltic universities. Daumantas Matulis´s project relates to anti-cancer drug design and in vitro testing. He reports successful cooperation with a number of academic as well as industrial laboratories around the Baltic Sea. 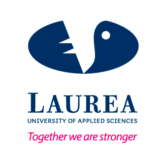 The programmatic intention of the award to bridge academia and SMEs is perfectly performed. 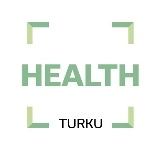 Cancer Politics is bridging medicine, social sciences, humanities and arts in the Baltic Sea health region. The project is a textbook of medical cancer prevention, debating health visions from the interdisciplinary points of view and is performing as a piece of literature and arts to pamper the reader´s attention.